Modern CSS development has come a long way with best practices made easier through tools. Dozens of free CSS libraries, tools, webapps, and automated scripts make it so much easier to build websites. 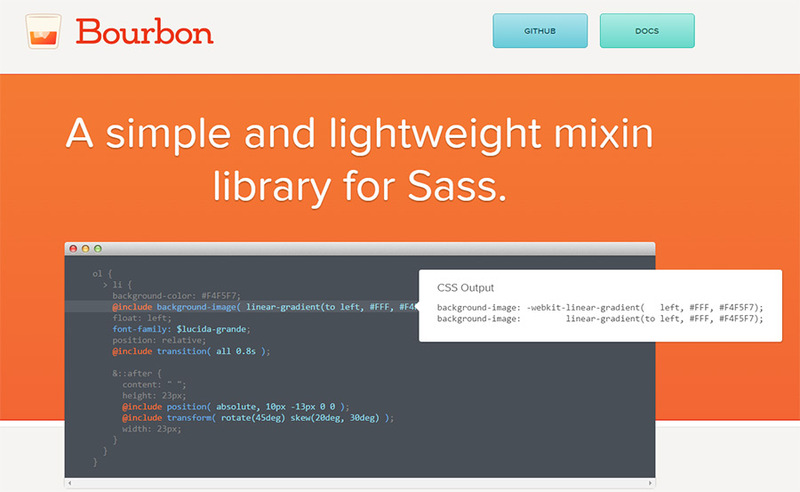 Mixin libraries are a dime a dozen but Bourbon is a truly valuable resource for Sass developers. It’s a free mixin library for developing vendor prefixes and automated values with functions like modular-scale(). This is not a scripting library, but rather a detailed compliment to Sass. You will need to understand Sass to work with Bourbon. But it’s worth the time spent learning if you want to improve your workflow. An inbetween CSS-JS library is the PostCSS tool. It works like an automated grab bag of premade solutions for common situations like grid generation and code linting. 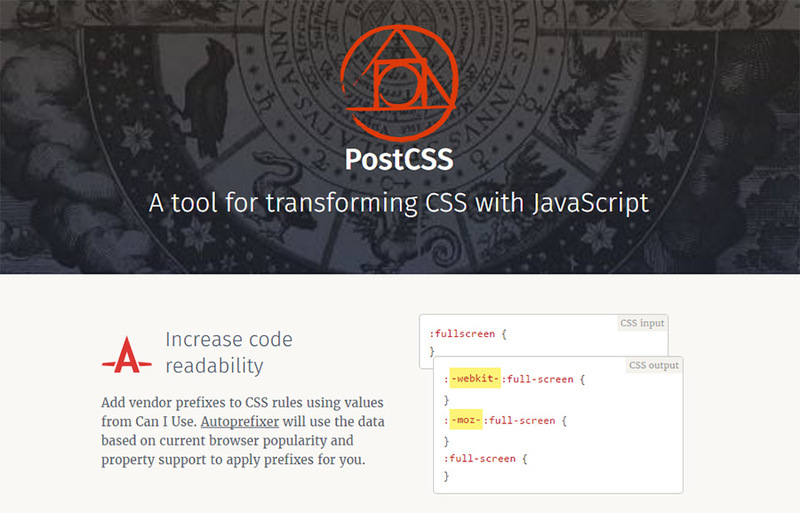 PostCSS is yet another free tool but it’s made to work in a Node/npm environment. This is an excellent place to start if you want to improve your dev skills. 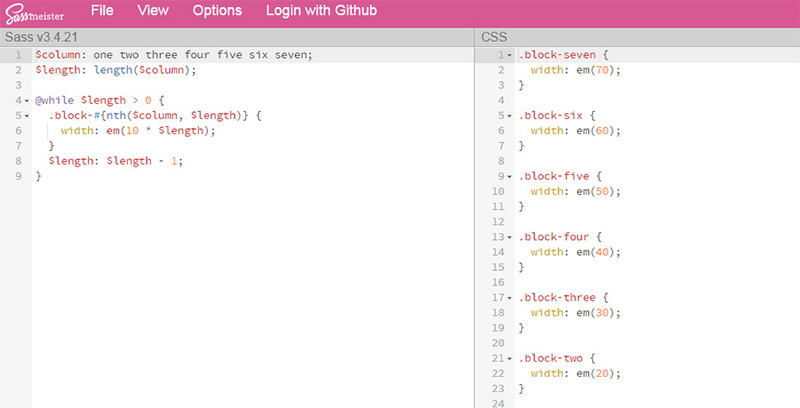 A Sass/Compass GUI is perhaps the simplest way for developers to hop into dynamic CSS. 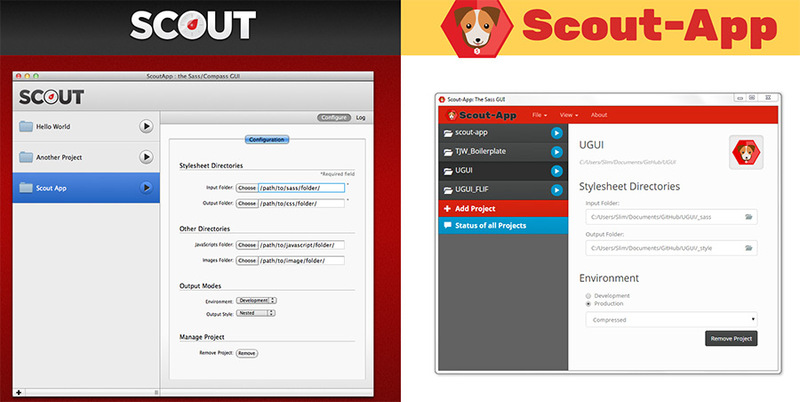 And Scout App is the best solution for Windows, Mac, and Linux environments. This full GUI works like a project management system where you can organize CSS files, templates, boilerplates, and other design resources in one interface. This reduces the stress of learning Terminal commands so that designers can organize projects without becoming programming masters. I recently stumbled onto the Sierra library and it’s one of the coolest UI libraries for Sass. The entire thing is open source and free to download for use in any project. It’s fully customizable with options for changing grids, colors, typography, and pretty much everything with a single variables file. All source code is on GitHub so you can browse through and see if this would work for you. This works like a smaller Bootstrap library with a greater focus on Sass/SCSS. We’ve all seen CSS generators that can spit out codes for gradients or box shadows or custom shapes. But what about grouping these tools onto a single website? That’s where the Web Code Tools generator comes in handy. This page has tools for almost everything you could possibly imagine and they’re all completely free. As you generate settings you’ll get live updates with code output and little icons that indicate which browsers are supported. 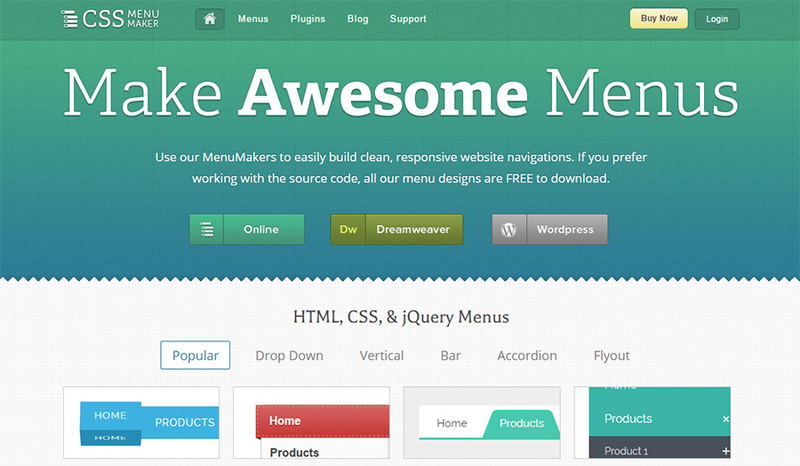 CSS Menu Maker offers a glamorous webapp for browsing many different styles of navigation menus. You’ll find dropdowns, fly-ins, and tons of responsive solutions made with pure CSS. The site offers plugins for WordPress and Dreamweaver but they do cost money. The online editors also cost money to access code, but you can browse through menus for free and even edit them to see how they work and reverse-engineer the code yourself. CodePen does offer Sass compiling but you may prefer a cleaner experience to learn how Sass turns into CSS. Rather than installing it locally on your machine you can use SassMeister, a free webapp for coding and playing with Sass. It’s an incredible resource for beginners and experts alike. It even supports 3rd party libraries and connects into GitHub so you can share Gists or snippets elsewhere online. BeautifyTools has an SCSS compiler webapp that can auto-generate code output based on structure and preformatted settings. With this tool you can convert raw SCSS into CSS but you can also minify the code and combine multiple files together. This tool is fantastic for any modern CSS workflow. It has so many features that make building & launching a site super easy. 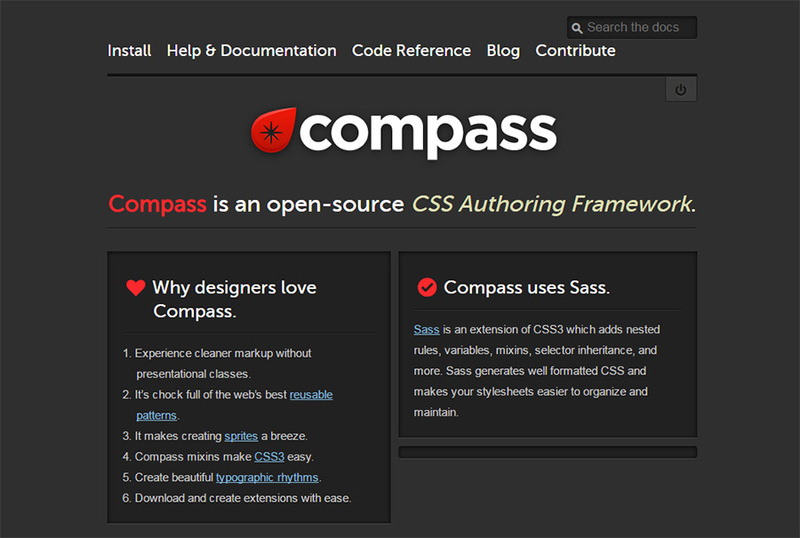 Compass is a set of tools that runs on top of Sass to make development easier. It’s the most powerful framework and the most trusted resource for the majority of frontend Sass developers. Many newer devs stumble into some confusion surrounding what Compass does. It’s much like PostCSS except it runs directly through terminal to execute commands on your Sass files. If you already know Sass then it’ll be a breeze picking up Compass. One final app I recommend is Koala. It’s a full GUI application that handles Sass, Less, Compass, and CoffeeScript in one location. It’s made for all 3 major operating systems and it’s one of the nicest interfaces you’ll find in any application. Koala has various compiling options, custom error notifications, and optional project settings to help you stay organized and keep track of all your web projects with a smooth visual editor. No single CSS tool can do it all. But with the right toolbox you’ll have seemingly unlimited options. 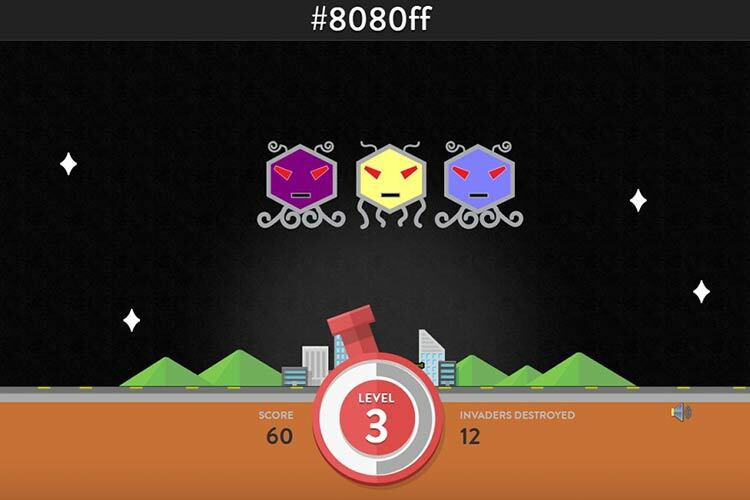 These tools are some of the best on the web and they’re all built specifically towards CSS developers. I hope you find something valuable in this collection and if you’re looking for CSS IDEs I recommend this post of the best free code editors for developers.